Fellow Amulet Books author A.G. Howard is celebrating the upcoming release of her whimsical and wonderful Alice in Wonderland-inspired novel, Splintered, which debuts January 1. She's throwing a major Red Carpet Event that includes several major INTERNATIONAL giveaways...and a signed advance reading copy of In the Shadow of Blackbirds is part of one of her prize packages! You can also win advance copies of other 2013 debuts, some of which I've had the privilege of reading, such as Sarah Skilton's Bruised and April Genevieve Tucholke's Between the Devil and the Deep Blue Sea. 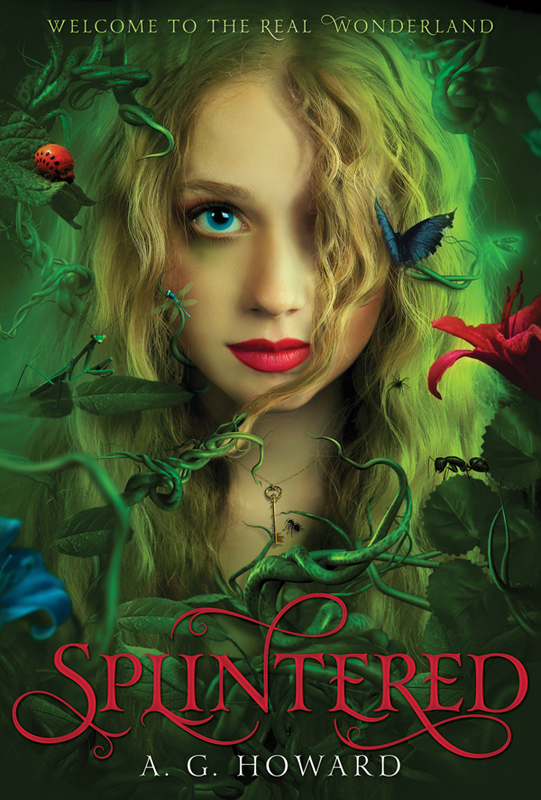 And, of course, you'll have the opportunity to win Splintered! Congratulations to A.G. Howard for her upcoming book birthday! On a separate note, in case you didn't hear my announcement before Christmas, In the Shadow of Blackbirds is now on NetGalley. IN THE SHADOW OF BLACKBIRDS Is Now on NetGalley! A Sneak Peek of Chapter 1!